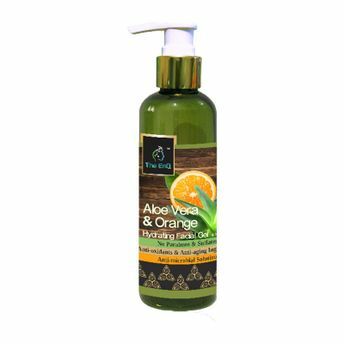 The EnQ Orange gel is a combination of six powerful skin care components from the mother nature Orange, Moringa, Green Tea, Aloevera, Lemon and Neem. The EnQ Orange Gel comes with an abundance of essential Vitamins E, C, Beta Carotene which works as an amazing supply of antioxidants as well as anti ageing. It helps you get an amazing smooth and healthy skin with anti microbial benefits also treats acne giving you a flawless and gorgeous skin.